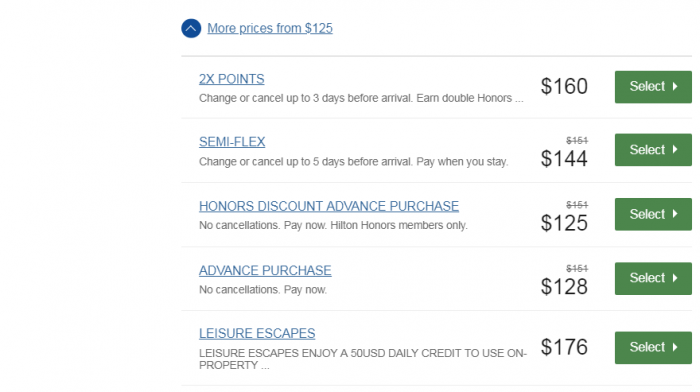 Hilton Honors has on-going Resort Credit promotion for stays in the Americas through January 31, 2019. Members that book this specific rate plan get $75 daily resort credit that can be used for expenses incurred but not towards the room rate. It is clear that the $75 credit is daily. The $75 daily credit is baked in the rate. This rate plan is not prepaid so it it should be compared to semi flexible rates. The T&Cs are somewhat contradictory as this offer seems to be open for everyone and from the first stays (regardless what the T&Cs state). This offer can make sense for those members that tend to wine and dine at these resorts. You can save a bit if you value the $75 at face value. Please note these offers are only valid for recipients of the email invitation and is not transferable. Offer is valid for stays at participating properties in the Hilton portfolio in the Americas and is subject to availability. Valid for stays between now and January 31, 2019. For each completed eligible night’s stay, a folio credit of up to US$75 or currency equivalent will be awarded. For properties selling in other currencies, the prevailing exchange rate equivalent of $75 in local currency (as determined by the property) will be applied to the folio in the value of credit earned. Folio credit will be applied to Guest folio at time of checkout toward eligible stays only. The total hotel credits that can be awarded are unlimited and based upon completed night stays. Folio credit will be applied toward certain hotel charges excluding room rate, corresponding taxes, gratuity and select activities as determined by property. Folio credits are not transferable, not redeemable for cash, are void after checkout and cannot be applied toward future stays. 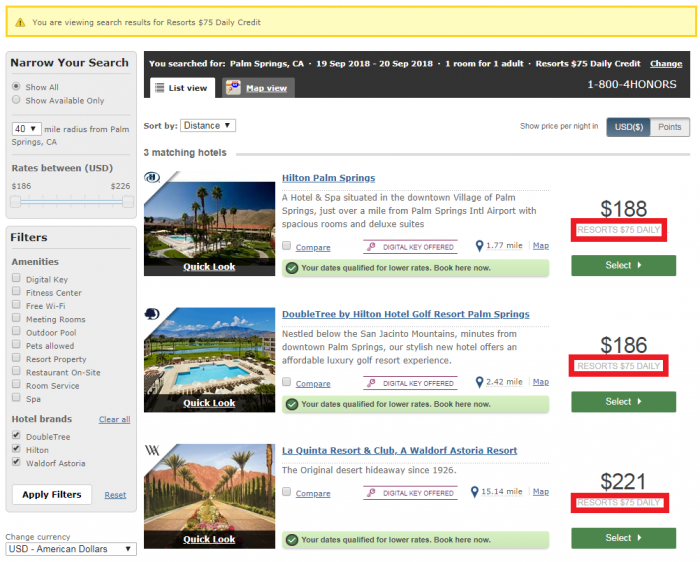 Blackout dates, early departure fees, and deposit and cancellation restrictions may apply and vary by hotel. Must book at least three (3) days in advance of arrival. This offer may not be combined with other select promotions, offers or discounts and is not valid for groups. Participating properties are subject to change without notice. To book by phone within the U.S. or Canada, please call +1-800 4HONORS (446-6667) or view Global Reservation phone numbers. Must book Plan Code PGDRC1 or L-DRC at time of booking.